With sadness and tremendous respect, we note the passing of Margaret C. Peck on August 13, 2018. Peck was a local historian and had a major impact on Sully Historic Site. Margaret Peck gave 40 years of service to the Fairfax County Park Authority (FCPA), the Sully Foundation, Ltd. and the Northern Virginia community. She served 18 years with FCPA, including time as the manager at Sully from 1971–1988. She spent another 22 years as a board member of the Sully Foundation, Ltd., serving as the Treasurer for 10 of those years. She also was an active local historian, educator, author and contributor to several books, including Washington Dulles International Airport, and Around Herndon in the Images of America Series. She was a contributing author and editor for Voices of Chantilly, Recollections and Stories from 22 long-time residents, Stories of Floris, Sully: 1794– Stories and Letters, and the cookbook Samplings from Sully’s Hearth. I interviewed Margaret in 2012 at her lovely home in Herndon, preparing for the Park Authority to present her a special achievement resolution. She was most proud of the preservation of Sully when Dulles International Airport was built. She worked personally with Sully’s first curator, Eddie Wagstaff, and was partially responsible for the fight to save Sully from becoming part of the buffer area for the airport. As manager at Sully, she helped develop a successful school-aged museum education program, including the four learning centers at the site today. She especially enjoyed developing the kitchen program, and she liked to “take words and put them into action” through demonstrations of real cooking representing the late 18th century. Peck researched historic letters and documents for years, documenting stories for the families who lived at Sully, especially the Richard Bland Lee family. Margaret helped develop the historic site’s docent manual and trained many people to lead tours and interpret the site, giving them confidence to present in-depth tours and share the human aspects of Sully’s history. Through the years, Margaret appreciated working with exceptional staff to produce programs such as Christmas tours and seasonal festivals in both fall and spring. She remembered working with a Mr. Bush, an older gentleman from Herndon who gave horse and wagon rides on the Sully grounds for 25 cents a ride. She actively worked with the Society of the Lees of Virginia in their support of Sully projects and their lending of collection pieces. She also was a successful advocate, along with her dedicated husband Ben, for the preservation of Frying Pan Farm Park’s school house and meeting house. Among her memories were the thrill of watching the first Concord jet arrive at Dulles, viewing it from Sully along with park visitors and staff. Her favorite memory was a Thanksgiving Day when snow began to fall, and across the field came Bland Lee V, the great, great grandson of Richard Bland Lee, along with his wife and daughter. They had come to see her and take a tour amidst the beautiful snowfall on that special holiday. We will treasure Margaret Peck’s memory as she treasured hers of that snowy day. 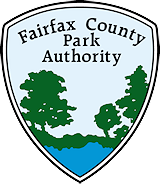 This entry was posted in Uncategorized on August 27, 2018 by Fairfax County Park Authority.